Habitat: Riparian. 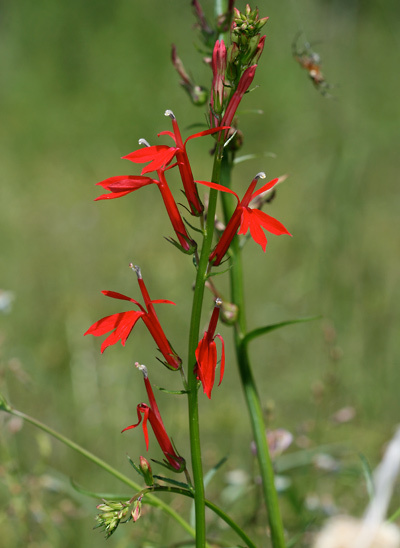 This moisture-loving plant grows in sun to part shade in constantly moist soil along streams, springs, and seeps and in wet meadows in upper desert and upland areas. Flowering Season: Summer, Fall (early). 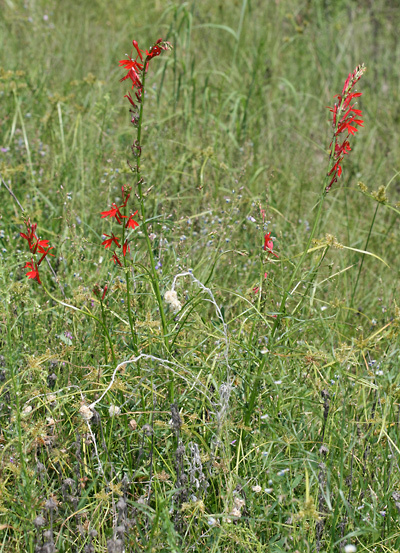 This showy wildflower blooms after the summer monsoon rains have begun. Description: The flowers are on long, slender, erect racemes. The individual flowers are tubular, 1 inch (2.5 cm) wide, and two-lipped with 2 slender lobes on the upper lip and 3 larger lobes on the lower lip. The anthers are blue-gray in color and joined together in a tube. The flowers are followed by 2-valved seed capsules. 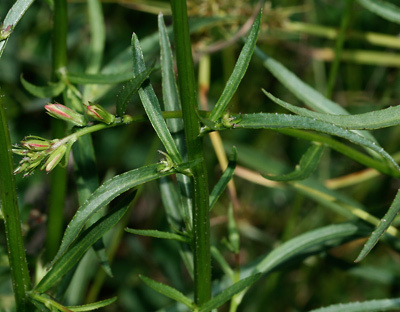 The leaves are dark green, alternate, minutely toothed, and linear-lanceolate to narrowly oblong in shape. 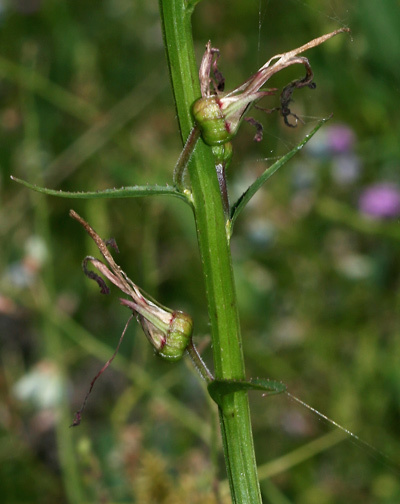 The stems are erect and unbranched. Butterfly Plant – The flowers attract large butterflies and moths like Pipevine Swallowtails (Battus philenor) and White-lined Sphinx (Hyles lineata) moths. 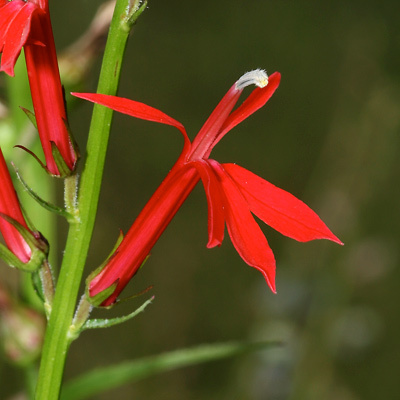 Culturally Significant Plant – Native Americans used this plant for a variety of medicinal purposes and as ceremonial tobacco. Poisonous – All parts of this plant are poisonous and contain the toxic alkaloids lobelamine and lobeline.